Each week we have a hashtag game at Progressive Redneck Preacher called “Southernisms”. A southernism is a phrase, activity, or ritual common to our southern culture – sometimes amazingly beautiful, sometimes pretty helpful, sometimes uproariously funny. The past two weeks we had the hashtag #icouldeat . This hashtag comes from what is considered a polite, common answer to the question, “Are y’all hungry for something?” Also, sometimes “I could eat” leads into a description of how hungry you are. “I’m so hungry I could eat a horse” comes to mind. We asked people to think about the question, “What is your most unique or your favorite southern dish, southern meal, or story about eating in the south?” and to share that, with the hashtag #icouldeat . Or, alternately, to share the strangest thing they’ve heard someone share that they could eat. Next week, with us coming out of the labor day weekend, I’d like to follow up with a suggestion made by Gabriel Sealey-Morris, author of The Stubborn Pines. He recommended #listentotheworkingman, stories about the experiences, struggles, or wisdom of working class men. I’d like to add, remembering this week’s day of action for women done by Moral Monday, #awomansworkisneverdone, a hashtag about the same issue but focusing on working women, especially (but not limited to) southern culture. This way we can highlight both the working man and working woman. Share these examples, with the appropriate hashtag, to my Facebook profile. Also please include songs, stories, pictures, and memes that connect with this theme as well. Gabe Sealey-Morris, the author of Stubborn Pines, a novel of the new south we will soon be reviewing at Progressive Redneck Preacher, says “#icouldeat a whole pork shoulder in gravy”. 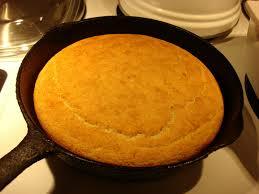 Calla Belbin writes, “#icouldeat unsweet cornbread ’til ‘y’all’ goes out of style”. 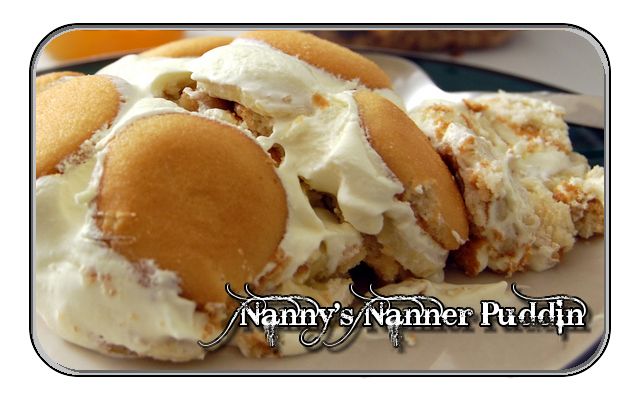 Steve Horn says “#icouldeat ‘nanner puddin'”. So could I, Steve. 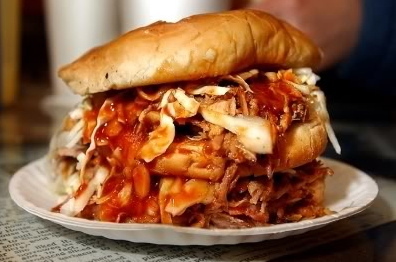 So could I.
Brittany Glenn-Steiner says, “BBQ (pulled pork) is definitely my favorite. I could just eat it all”. As does Tamara Story Knowles. 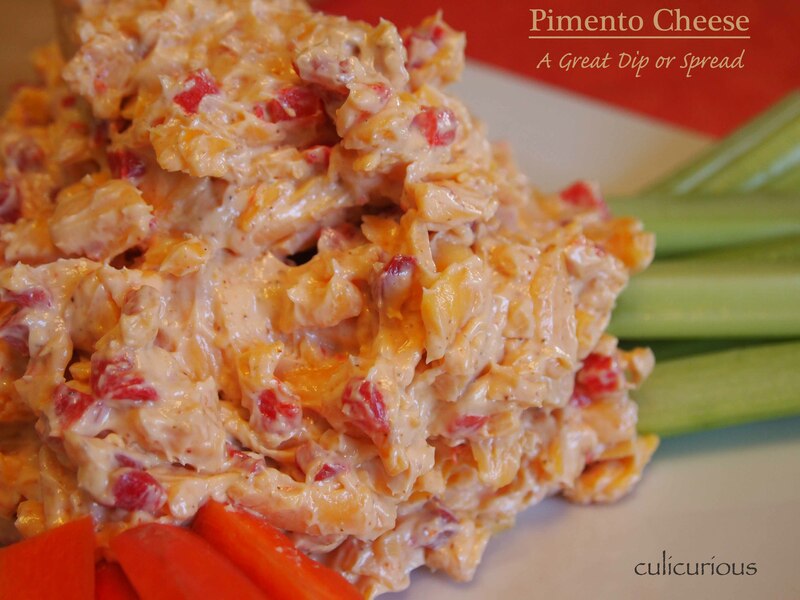 I could eat handmade pimento cheese. The best I’ve had so far, bar none, was the pimento cheese at Inspirational Grounds Coffee shop in Dunn, NC. Sally Rigg says “Anything w/garlic-cheese grits and chess pie suits me!” I, a life-long southerner, had to ask her and then look up what chess pie is. Apparently there is a southern food that’s new to me. Gotta try it. Rev. 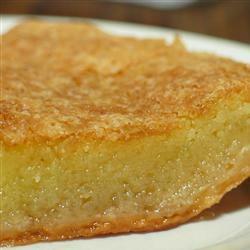 Amanda Kie Borchik shared a new pie for me: “You also have to try buttermilk pie, if you’ve never had it. I recommend Scratch Baking in Durham for all your pie-tasting needs”. 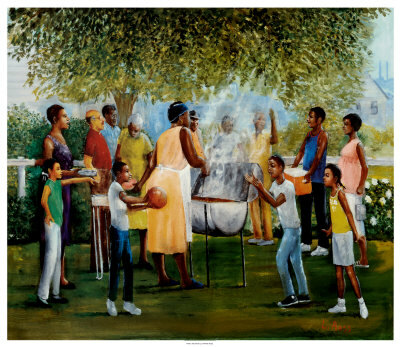 Growing up, I actually didn’t attend a pig picking until I was a teenager, because as a child my parents attended an off-shoot of the Seventh Day Adventists that tried to keep kosher — no pork, no shrimp, nada. (Not eating pork, by the way, puts you at a huge social disadvantage in southern culture, let me tell you). Well this was not the case as a teenager, and I still remember the first pig-picking I went to. It was at my uncle John’s, of blessed memory. He was, among other things, a pig farmer, as were many of my ancestors. So for him, a pig picking was the end of harvest time. It was no small affair. I actually brought a date to it. And thank God! 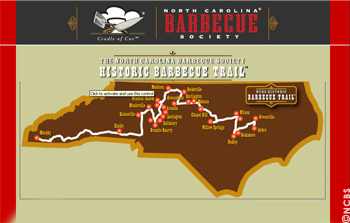 There were at least four huge barrels in which whole hogs were slow-cooked in eastern NC-style vinegar barbecue. There was country music playing and everyone dancing. It was like a community street party. Food, drinks, everything. 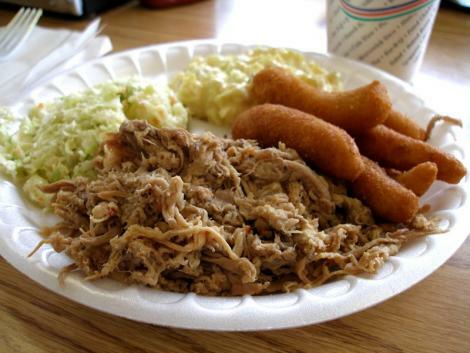 I remember thinking, as I looked at the juicy aromatic NC barbecue uncle John was cutting up for the guests, “I didn’t know what I was missing. ‪#‎icouldeat‬ that all night”. And I did. I can’t recall if my date and I cut a rug or not, but I hope we did. 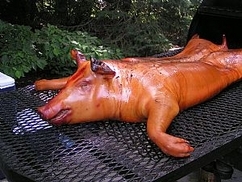 I learned that in my wider family of cousins, aunts, and uncles, a pig picking was more like a southern luau. As a teenager, I went fishing with my buddy Cecil, who grew up in a town named “Beaver’s Creek”. (If a town is named for a woodland creature, i.e. “a varmint”, be clear: it is likely as southern and country as collard greens). Anyway, we had caught a mess of fish. Then suddenly, we turned and perhaps the largest snapping turtle I have ever seen had knocked over our bucket. It was destroying our fish in a feeding frenzy. We both were furious, and swore as much like sailors as teenage boys can. Then Cecil’s face scrunched up as he clearly had an epiphany. “I hear turtle ain’t bad. ‪#‎icouldeat‬ me one of them”. The next day Cecil brought me a soup that tasted a whole lot like Brunswick stew which he swore was made from a night of cooking turtle. It was delicious, and had an accompanying turtle shell to go with it. Cecil’s Turtle Stew remains one of the most unique southern dishes I’ve ever eaten. 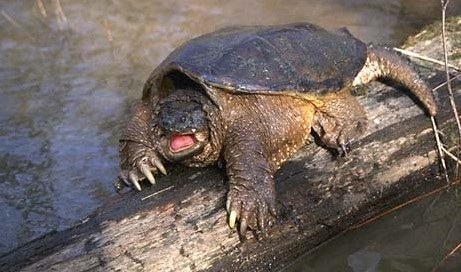 Becca Mueffelmann responded to this story by saying soup was the “only thing those damn things are good for….snapping turtles are ugly jerks.” Many southern readers concurred. Another story of southern eatin’: One of my favorite places to eat in high school while I was living in a southern military town was my friend Miguel’s. 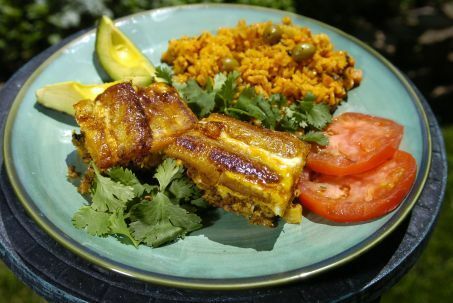 His parents were from Puerto Rico and when I was invited to their house, his mother would always have the best dishes — rice, plantains, chicken. My mouth waters just thinking of it. I remember swearing to myself that I had to find a nice young lady from Puerto Rico to marry because the food was so very good. (I’m happy with who I married btw, California girl though she is). I also remember paying attention to Miguel’s momma’s critique of restaurants. “Don’t let me hear you are eating at Taco Bell! Show some self respect and eat real food. Mi Casitas or Monterrey maybe. But not that fake Americanized food”. But really, who wanted that when her food was better? ‪#‎icouldeat‬ it any day! And this is a memory of a meal in the south, from a southern family. My friends Miguel and Gabriel spent most of their time in Alabama and North Carolina and so the south is as much a part of their roots as it is mine. I share this story to help change the picture of the south. We’ve always had Hispanic families in the south, and still do. They are as much a part of our cultural tapestry as Scottish dancers, rural pig pickings, and bluegrass. Eating is a big deal in the south. In a recent interview Rev. 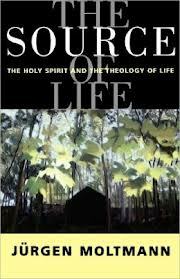 Hugh Hollowell gave Progressive Redneck Preacher, he said, “In the south, food is love”. There is truth to his words. 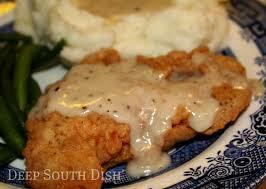 How many of us southerners over the years have heard a grandmother or aunt say “Eat up. You are a growing boy” or “Girl, you need to put some meat on them bones”, as they nearly shoved food down our mouths whether we were willing to eat or not? 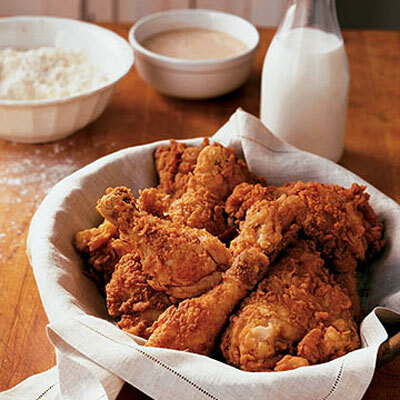 Interestingly enough, the very unique southern foods that people find so colorful, which companies like “Kentucky Fried Chicken”, “Bojangles”, “Church’s Chicken”, and others have mass-marketed not just nationally but around the world, are in fact one of the most multi-cultural and diverse contributions of southern culture. What we consider traditional southern foods — fried chicken, collard greens, okra, corn bread, and sweet tea, among others — include in their histories a dizzying cultural diversity expressed in our dinner table. “You have to look at two things: what came with the slaves on the boat and what they had to work with when they got to America. There was a strong Native American influence in the early beginnings of Southern food when slaves began arriving: crops like corn and techniques like frying. Then, you have crops and techniques that came over from West Africa with the slaves, like the peanut (or goober peas), okra (or gumbo) and stewing techniques. There’s also daily survival ingredients like watermelons, which served as canteens in the fields. It’s 95 percent water. The slaves also used the rind as soles for their shoes. So ingredients like this that are now part of Americana and the Native American influence really started shaping Southern food very early on. But you can’t discount other influences like that of the Spanish and Portuguese through Louisiana or the Latin influence through parts of Texas. The slaves worked with what was available to them and adapted their daily diets accordingly…. What people don’t really understand about Southern food is that it is all based off of preservation methods. How can we keep the food for the longest period of time and make sure it’s safe to eat? 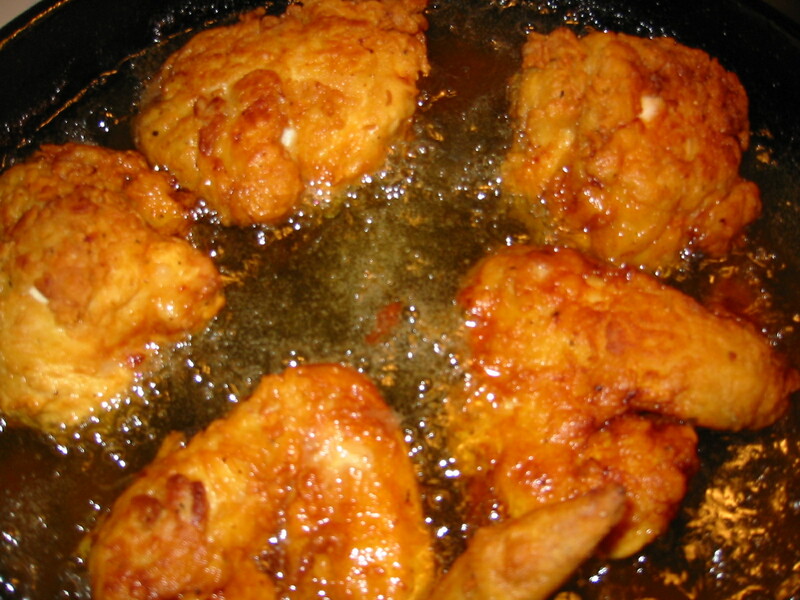 … Salting and frying meats and vegetables were simply preservation methods they learned from the Native Americans. They adapted to survive, while in the process, unknowingly transforming the Southern diet with the ingredients they brought with them from Africa. They found that they could grow these crops quite well here in the South. “The most notable influences come from African American, Scottish, Irish, French, Native American, British, and Spanish cuisines. 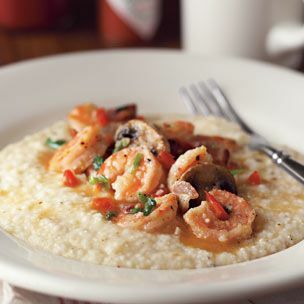 Soul food, Creole, Cajun, Lowcountry, and Floribbean are examples of Southern cuisine. In recent history, elements of Southern cuisine have spread north, having an effect on the development of other types of American cuisine. 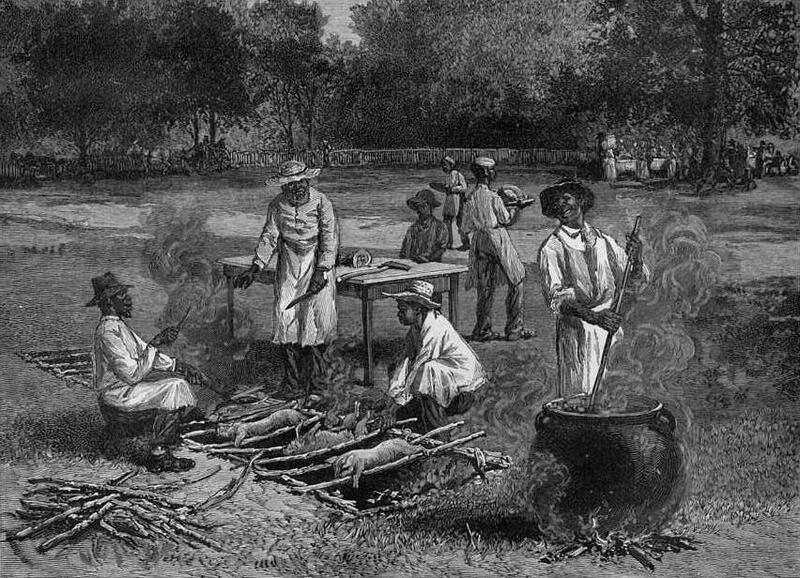 US History Scene adds further details about the influence of African slaves on traditional southern diet, including the fact that pit barbecuing, where the tradition of southern barbecue and the southern pig-picking comes from, originated in methods used by slaves to cook their meat, which were so successful and delicious eventually their masters picked up on them. Apparently a part of the prevalence of chicken and pig meat in southern culture was because the majority of the population was originally very poor, owning only small amounts of land. While it takes acres upon acres to raise cattle, both chickens and pigs grow easily in small areas of farm land. 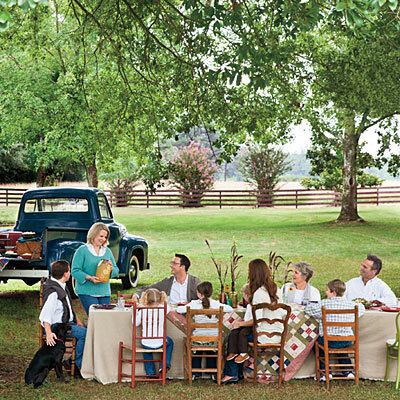 This diversity in the southern dinner table is only growing with each passing generation. One of the reasons I made a point to share my experience having dinner with my friends who were a part of a southern Puerto Rican family is to help recognize how the mosaic of faces, families, and cultures in the south is adding new hues to its mix. Hispanic food, whether Puerto Rican, Brasilian, or Mexican, is now evidence of how the mix of southern foods is multi-cultural. Almost every southern town of any size now has both a Mexican restaurant and a Chinese restaurant. We would do a dis-service to our ever broadening cultural context to overlook such southern watering holes. I wonder in what ways these foods will eventually become a part of the fusion that is southern culture. In my own family, at immediate family dinners we now sometimes have wonderful Filipino foods mixed in with collard greens and fried chicken, as well as at times California-style dishes from family members through marriage. At extended family reunions, these distinctively southern gatherings often also include food from various Hispanic cultures, and also Lebanese and Korean dishes. Southern eating is inherently diverse. 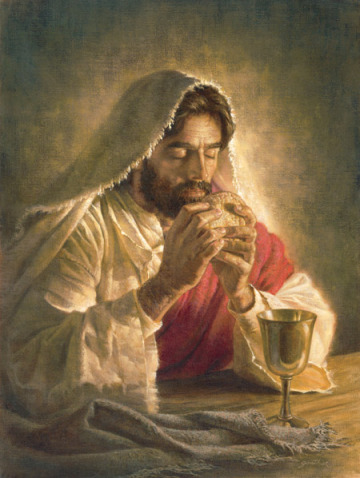 I would add as a progressive Christian that the symbol of the open family table, which we sit at and so become as family to each other that is so key in the south, has added symbolism. For progressive Christians such as myself, this family table is ultimately pictured in the table Christ sets for us where the symbols of his own life are made available, not just for some people, but for all who live. In the progressive Christian community, the open table is a symbol for the welcome of God who, as Father, Son, and Mothering Holy Spirit, has opened their arms wide not just to embrace certain people, but to welcome all people to sit at the family table. In the progressive Christian community, it is a fitting symbol for the need to tear down barriers to everyone having equal opportunity for education, for work, for a role in the church, for marriage, to raise children, and to have healthcare, food, and basic needs met. The southern family table we remember when we say #icouldeat is a symbol for the calling of people of faith and people of good will to attempt to make true the promise of Acts 4, which describes God the Holy Spirit birthing a community where people shared their goods, services, and opportunities so there was more than enough for everyone and there was no poor among them. To which I say, let’s each grab a plate, a cup, and a spoon. Let’s join together in setting that table of welcome. I don’t know about you, but I could eat and share my full at a table like that. And I ain’t whistling Dixie! 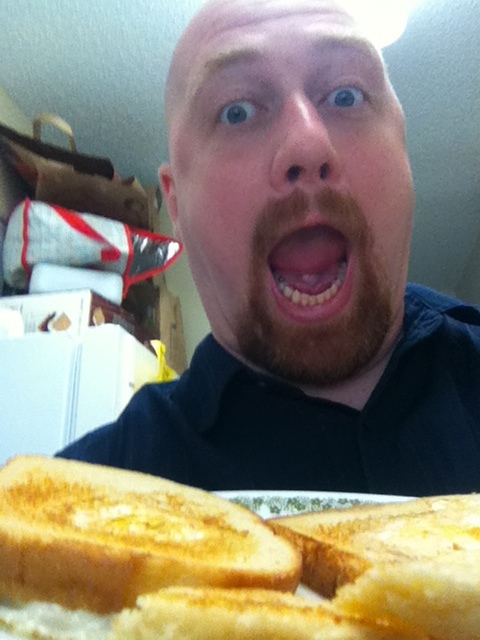 Me, after cooking one of my favorite breakfast meals: Eggs in a basket. Yumm. This entry was posted in hashtag challenge, southernisms and tagged barbecue, bbq, cake, collards, deep south, fried chicken, glbt, greens, grits, jurgen moltmann, martin luther king, pie, progressive christian, progressive redneck preacher, progressive theology, race, redneck, shrimp, source of life, southern cuisine, southern culture, southern food, southern history, stubborn pines, turtle, yum. Good stuff! Served up hot and fresh with a heaping side of family and community. Y’ll get you some! “Thanks for the follow,” she said licking her greasy fingers. Consider being a guest blogger for me. You can contact me privately (http://carolynahyankee.wordpress.com/contact-me/) if you’re interested. Feel free to re blog my posts, with credit to their source, if you like them.